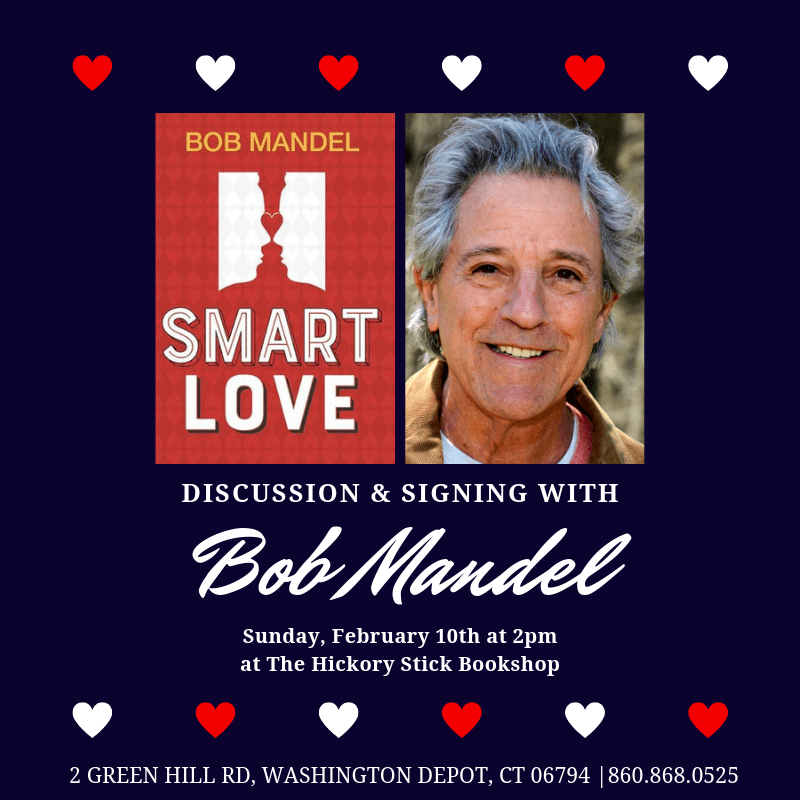 Just in time for Valentine’s Day, The Hickory Stick Bookshop will host a discussion and signing with Bob Mandel, author of the new book Smart Love (Mandel, $15), on Sunday, February 10th at 2pm. Bob Mandel, a resident of Washington Depot CT, is a universally acclaimed seminar leader and author of numerous self-help and children’s books, including Open Heart Therapy, Two Hearts Are Better Than One, Birth & Relationships, and 9 Journeys Home. The founder of both the International Self-Esteem Project and Project Heaven, Bob works throughout Europe, North and South America, helping men, women and children, families and companies to improve their relationships and create greater fulfillment in all aspects of life. His book Smart Love is a series of points and counterpoint, debating some of the most common disagreements in relationships. This event is free and open to the public. If you are unable to attend this event, you may reserve a signed copy of Smart Love by calling The Hickory Stick Bookshop at (860) 868 0525.